Raising a family in a small city can be an enriching experience. Small cities come without much of the hustle and bustle of larger cities or the sky-high costs of living. Plus, many small cities still offer access to employment opportunities and can offer residents a sense of community. Below we rank the best small cities to raise a family. In order to find the best small cities to raise a family, we looked at data on nine factors. We analyzed data on income, childcare costs, high school graduation rates, violent and property crime rates, the number of child care facilities, unemployment rates, housing costs, family poverty rates and the percent of residents age 20 and under. For details on the methodology, see the data and methodology section below. Show Me State scores well – Missouri has three cities in our top 10. Lee’s Summit came in second, while O’Fallon and St. Charles took third and 10th, respectively. These cities offer good employment opportunities and are relatively affordable. In particular Missouri cities scored well when it comes to childcare costs. Raising a family is costly – If you do want to raise your family in the best environment, it’ll probably cost you. Across our top 10, the average home costs over $1,488 per month. Once you add full-time childcare, which can run anywhere from $6,000 to $13,000 per year, depending on where you live, you’re looking at a large hole in your budget. Choose carefully in the Sunshine State – Florida has the four lowest-ranked small cities to raise a family. These include Delray Beach, Boynton Beach, Lauderhill and Fort Myers. These cities tend to have an older population and have low high school graduation rates. However, there are many other good places to raise a family in Florida. For many parents, a safe city is a primary concern when deciding where to lay down roots. A lack of crime is the reason Carmel is rated so highly. Of all the cities we analyzed, none had a lower violent crime rate than Carmel. The city also had the fifth-lowest property crime rate per 100,000 residents. But of course, you need more than low crime rates to make for a place to raise a family. Places with good jobs and high incomes are also desirable. Carmel also has both those areas covered. The unemployment rate is 2%, the second-lowest in the study, suggesting jobs are plentiful. Carmel residents also tend to be high earners. The average household earns over $108,000, a top 10 rate. Lee’s Summit is the first of three Missouri cities to crack this top 10. This city is also relatively crime-free. It has a violent crime rate of only 104 per 100,000 residents. One important concern for families is making sure their children get a good education. Lee’s Summit should have that covered. On average, over 91% of high schoolers in the area graduate. Lee’s Summit is also the third-most affordable city in our top 10. The median home costs only $1,175 per month. One plus for potential homeowners here is that Missouri property taxes are lower than the national average. O’Fallon takes third. This city located in eastern Missouri scored well in our economic metrics. It has a family poverty rate of only 2.9%, fifth-lowest in our study and an unemployment rate of only 3.4%, 20th-lowest in our study. One cost that can get overlooked for new parents is childcare. O’Fallon, however, does a good job keeping those costs low. According to our data, full-time childcare costs only $5,700 per year. This is half as much as other cities in our top 10. Allen, a Dallas suburb, is another great spot for families looking for a smaller city to lay down roots. For families who place education above all else, Allen is a good landing spot. This city has a high school graduation rate of 96.3%. No other city in our study has a better score in that metric. If you do move to Allen to raise your children you won’t have to worry about them making friends. Just over 30% of the residents in Allen are under the age of 20, a top 25 rate. Newton ranked well in almost every metric we analyzed. This city scored in the top 20 for median household income, high school graduation rate, violent and property crime rates, unemployment rate and family poverty rate. So why doesn’t Newton rank higher? Well, all those high scoring metrics come with a cost. Specifically housing and childcare costs. Our data shows that full-time child care costs over $10,000 per year and the median home costs over $2,200 per month. Plus because of the high income taxes in Massachusetts the average family will be keeping less of their earnings than they might in other cities. San Ramon is a great city for families looking to socialize. This city has the largest portion of under 20 residents in our top 10 at 32.4%. Another plus to living in San Ramon is the low poverty rate. Only 4.6% of families are impoverished. But like some other cities in our top 10, it may be hard to find affordable housing in San Ramon. According to our data, the average home costs just under $2,700 per month. That will leave even high-earning families’ savings accounts hurting. Hoover is a good city for young families looking for stable employment. According to our data, Hoover has a family poverty rate of only 5.6% and an unemployment rate of 3.2%. For both of those metrics Hoover ranks in the top 30. Hoover is also relatively affordable compared to other cities in our top 10. Our data shows the average home costs less than $1,200 per month. The best part about raising a family in Franklin, Tennessee are the schools. Our data shows that the schools around Franklin have a graduation rate of 96%. Families around Franklin also do well economically. This means well-paying jobs for both teenagers working their first job and breadwinners. Data shows that the average household here earns over $91,000 per year. In the past we have pointed out how good of a city Ames is for working parents. That trend continues in the study. Ames’ most impressive score comes in high school graduation rate. A solid high school education is a great springboard into a promising academic career. That is doubly important when you consider how competitive employment is these days, and the importance of a good education. Overall our data shows that over 93% of kids in the Ames area graduate high school. Our list of the best small cities to raise a family ends in St. Charles, Missouri. This city scores well in metrics like the unemployment rate and childcare costs. For both of those metrics, St. Charles ranks in the top 10. What is holding St. Charles back however is the lack of other children in the area. According to data from the Census Bureau, only about 23% of residents in the area are under the age of 20. In order to find the best small cities to raise a family, we looked at data for 210 cities which had a population between 65,000 and 100,000. Specifically, we looked at data on the following nine metrics. Percent of residents under the age of 20. Data comes from the U.S. Census Bureau’s 2015 1-Year American Community Survey. Family poverty rate. Data comes from the U.S. Census Bureau’s 2015 1-Year American Community Survey. Median housing costs. Data comes from the U.S. Census Bureau’s 2015 1-Year American Community Survey. Unemployment rate. Data comes from the U.S. Census Bureau’s 2015 1-Year American Community Survey. Childcare facility density. This is the number of child care service establishments as a percent of total establishments. Data comes from the Census Bureau’s 2015 County Business Patterns Survey. Property crime rate. This is the property crime rate per 100,000 residents. Data comes from the FBI’s 2015 Universal Crime Reporting Database. Violent crime rate. This is the property crime rate per 100,000 residents. Data comes from the FBI’s 2015 Universal Crime Reporting Database. High school graduation rate. Data is for the 2014-2015 school year and comes from the U.S. Bureau of Education. Childcare costs. This is the average annual cost of full-time family childcare for an infant. 2015 data comes from Child Care Aware and is measured at the state level. Median household income. Data comes from the U.S. Census Bureau’s 2015 1-Year American Community Survey. We ranked each city in each metric. Then we found the average ranking for each city. We gave each metric a full weight except property crime rate and violent crime rate, which we gave a half weighting. We used this average ranking to create our final score. The city with the best average ranking received a 100 and the city with the worst average ranking received a 0. Sometimes, due to a loss of income or unexpected costs, mortgages can become unaffordable. Here are some tips to make the most out of a bad situation. The first thing you will want to do if you are struggling to make your monthly payments is to ask your lender for a loan modification. There is a chance they will lower your interest rate or forgive a portion of the principle. The objective is to make the monthly payments mortgage low enough so that you can still pay. Another option might be to try and refinance to a longer mortgage or to a lower mortgage rate. By extending the length of the loan, you pay more overall in interest but less on each monthly payment, making each payment more affordable. If your credit score has improved significantly since you first got your mortgage, you may be able to refinance to a lower interest rate. This will help you save in the short run as well as in the long run. 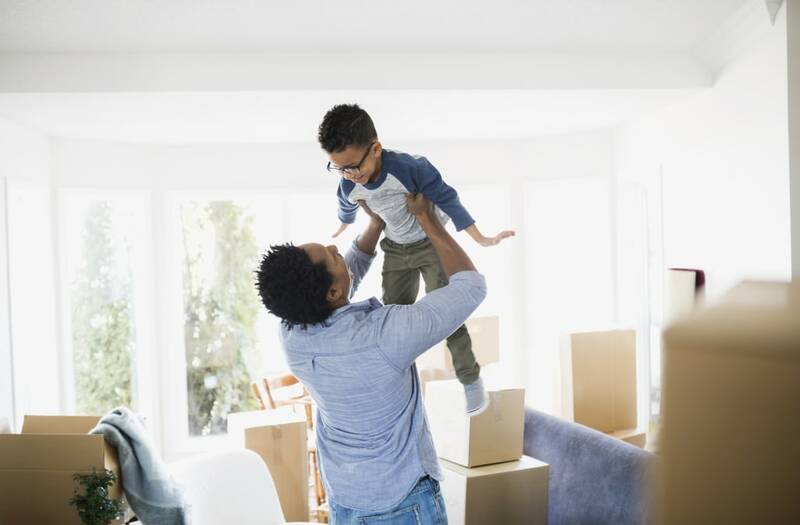 You may also qualify for the Home Affordable Modification Program (HAMP) which is a federal program meant to help struggling homeowners during the financial crisis. However not everyone who is struggling to make payments is eligible. The benefit of the loan modification is that you keep your home and your credit score does not suffer. A final option is a short sale. In a short sale, the homeowner sells the home for less than its market value in attempt to sell it faster. The mortgage lender will take a loss but will avoid the hassle of foreclosure. This however can be a complicated process and can ding your credit score.